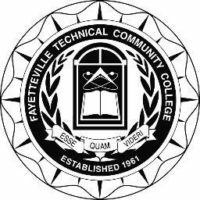 The FTCC Lady Trojans defeated the Lenoir CC Lancers, 61-51, at home Saturday. The women have evened their record and stopped the brief run of losses. Although the Trojans expected an easier game than their last three, they still had to play hard and had their top scoring quarter of the season. The first quarter was an awful shooting display by the Trojans. Most of their shots were well off target, including shooting 0-10 from the line. Dejah Horne had a driving layup and Chania Troy put back a rebound early. Horne and Briana James each hit a 3 pt. shot near the close of the quarter with the team trailing 10-16. Kianni Williams was strong for the Lancers with 8 pts., 21 on the night. It could have been a blessing that the team did not shoot from the line at all in the second quarter. Horne again was aggressive to the basket with a couple runout baskets from pressure defense. Amarilis hit her first goal of the game from long range and LaBrasha McElvine also hit a 3 pt. from the corner to tie the game 24-24. With the late surge, FTCC trailed just 24-25 at the half. Williams was shut down, and the rest of the Lancers had a tough time taking up the slack. Coach Tucker needs to bottle his half-time talk as the team exploded for 31 pts. in the third quarter. They stepped up the full court pressure to force several turnovers, and the drives that did get to the basket led to blocks and slapped passes by Tyra Evans, Troy and Kennede Coleman. Floyd set a single quarter record hitting four 3 pt. shots in the quarter and five for the game, also a record. Horne was once again effective in finishing shots around the basket from turnovers and the fast break drives up the court. Her speed led to several fouls , and she and the team improved shooting, going 11-14 from the line in the quarter. The Trojans outscored the Lancers 31-11 in the quarter to lead 55-36. Williams was once again the leading Lancer with 7 pts. With the large lead, the Trojans started to run the clock in the fourth quarter and seemed to stop driving to the basket just to wind the clock down. Several possessions were a single shot at the end of a long set offense with a Lancer rebound. Although the Lancers did cut into the lead, they never got closer than 10 pts. Genesis Bernard hit her only basket of the game to stop a scoring drought and keep the game in double digits. The Trojans were 4-6 from the line as the Lancers started to foul to take advantage of poor free-throw shooting of the Trojans. Despite the 0-10 start, the Trojans were 14-28 for the game with the real pressure shots maintaining the lead late in the game. This quarter saw a very low scoring total; however, the team really quit attacking and chose to run the time down with longer possessions. Tucker was not pleased with the lack of scoring, but the team still managed a 10 pt. win, 61-51. In what has become very common for this team, Tucker made great adjustments at the half and the team jumped up in the third quarter. In this game, they took a commanding lead and forced the Lancers to take too many poor shots just to catch up. Jazmaine McCarin was a big part of the interior defense for the Lancers and seemed to stymie the front line Trojans inside. She was strong on the boards, as well. McElvine and Floyd were able to draw fouls that forced her off the court for long stretches in the second half, and Tucker’s Lady Trojans had a formula win.